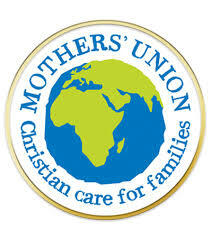 The Mothers’ Union is a worldwide Christian organisation of 1.6 million members, the majority being in Africa and Asia. Its purpose is to strengthen and promote stable marriage and family life by meeting needs, both everyday and in an emergency. In the UK, among other things, members run creches in prisons, provide holidays for needy families, knit for premature babies and collect items for women’s refugees. We also contribute to overseas funds which pay for local workers who run projects to teach literacy, basic hygiene and vegetable cultivation in developing countries. Our members at St Mark’s contribute to all of the above, as well as running a prayer network to respond to prayer requests. We meet in the church on the first Tuesday of every month at 2pm for fellowship, prayer and inspiration.